Privately owned public space becomes visible when it is threatened. 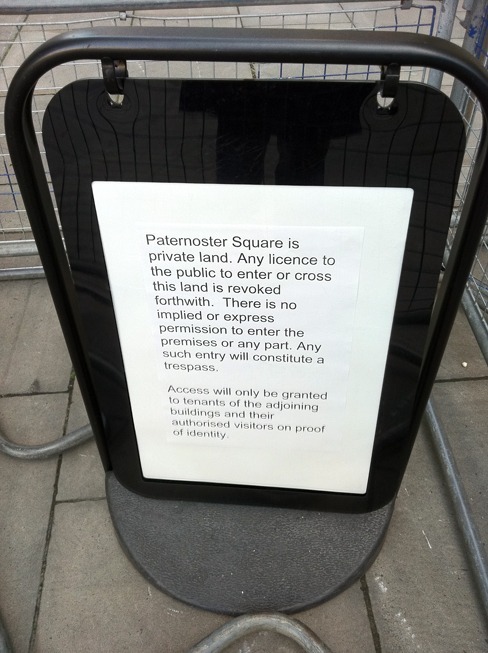 This sign, at Paternoster Square was quickly erected after Occupy London tried to reclaim the privately owned square. Protestors ended up camping adjacent to the square outside St Pauls cathedral. Customers who wanted to access the square's bars and restaurants had to sign-in with private security guards who controlled the square's entrances.